With the help of a trained Caregiver, falls can be prevented and serious injury can be avoided. There is no reason that your loved cannot be safe when getting in and out of bed and enjoy a sense of freedom that greatly improves their quality of life. In general when moving from the bed or chair the secret is not to rush and not to be distracted by noises and activities in the room. The phone can wait. The TV is not important (switch it off). Caution and planning alone will prevent potentially harmful falls. Allow your loved one to back up until they feel the chair against the backs their legs. Ask them to grasp the armrests with both hands and slowly sit down. Move them to the edge of the chair. Instruct the patient to grasp the armrests or put both hands on their thighs and slowly push themselves up. 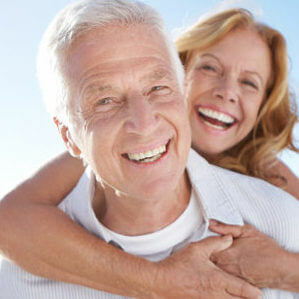 Depending on the level of frailty, install aids that will help your loved one lift themselves up. Move your loved one to the edge of the bed and ask them to roll onto their side. Allow them to push themselves up with their hand. At the same time, they should slowly swing their legs over the side of the bed. Then they must sit on the edge of the bed for at least 30 seconds before standing up. With both feet firmly on the floor, they can place their hands beside them on the bed and slowly push themselves up. In the event of the frail person being unable to lift themselves on their own, the Caregiver must employ the following techniques. If the person is not strong enough to push up with his or her hands to a sitting position, place one of your arms under the person’s legs and your other arm under his or her back. Move the person’s legs over the edge of the bed while pivoting his or her body so the person ends up sitting on the edge of the bed. Position the person’s feet on the floor and slightly apart. The person’s hands should be on the bed or on your shoulders. Place your arms around the person’s back and clasp your hands together, nurses, physical therapists, and others in hospitals often use lifting belts, which are fastened around a person’s waist. The caregiver grasps the belt when lifting the patient. Pivot toward the chair, bend your knees, and lower the person into the chair. The person should have both hands on the arms of the chair before lowering him or her down.